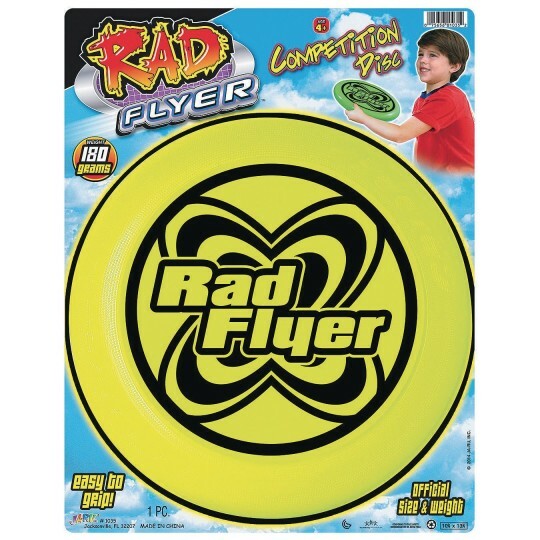 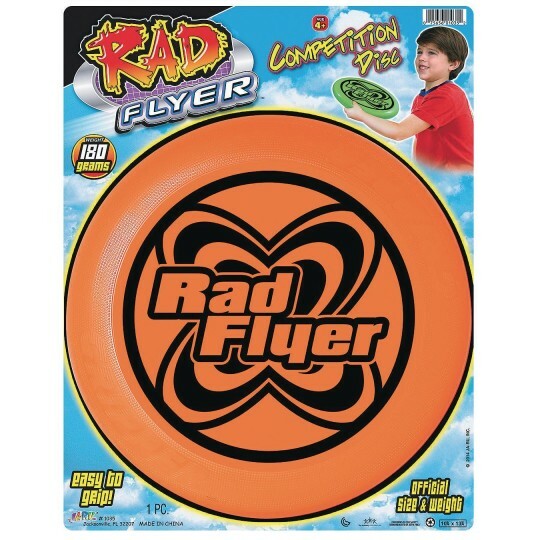 Rad Flyer is the official size and weight of a competition flying disc, weighing 180 grams. It’s easy to grip and perfect for a game of Ultimate or just tossing around the park. 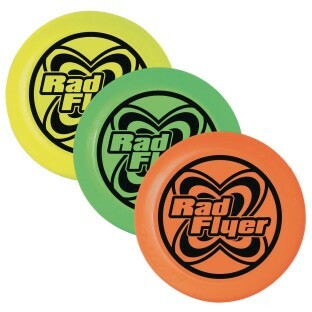 This 10-1/2” diameter disc comes in our choice of assorted colors.